With its 315-foot central promenade full of restaurants, shops and boutiques, the MSC Meraviglia is the perfect ship for shoppers, browsers and foodies. It features the longest LED dome at sea, a 5,200 square-foot ceiling transmitting images of sunrises, sunsets, starry skies and inspiring vistas. For those who prefer outdoor spaces, the Meraviglia offers plentiful pool space, a giant outdoor TV screen and a large area for sun worshippers that transforms at night to a dance floor. A spectacular outdoor water park with special areas for little ones offers thrills with a view. A luxurious Balinese spa awaits you on deck 7, where you can revitalize your body and soul. The MSC Aurea Spa offers a beauty salon, thermal area and some of the best pampering you'll ever experience. Nightlife onboard is lively, with Broadway-style shows and the excitement of Cirque du Soleil performances. Meals are a special experience, too, with many world-class dining options for children and adults. After dinner, you can relax in the new panoramic areas or grab a drink in the innovative ocean-view aft lounge. So book a cruise on the MSC Meraviglia and enjoy equal measures of luxury, comfort and fun. Whatever you're looking for on your vacation, Dunhill Travel Deals can find you the best in affordable cruising with MSC Cruises. The MSC Meraviglia has modern, well-appointed cruise staterooms for any vacation style or budget. All staterooms are air-conditioned and equipped with TVs, a mini-bar and safe. Wi-Fi is available for a fee. You can upgrade to one of MSC’s Signature Experiences where you’ll be showered with exclusive services to truly make your vacation one to remember. Experiences can include priority boarding, butler service, personal concierge, private sun decks, spa packages, fitness programs, and more. Family staterooms that accommodate up to 9 guests are available in a variety of layouts with connecting cabins. Interior cabins offer a queen bed,wardrobe, bath with shower, mini-bar and interactive TV. For single travelers, the Interior studio offers the most economical option with a bed that converts to a sofa. Upgrade available to Bella Experience. Ocean view staterooms offer a queen bed, large wardrobe, bathroom with shower or tub and a separate sitting area. A fold out sofa accommodates two additional guests. An interactive TV, mini-bar, telephone and safe are included. Upgrade to Bella or Fantastica Experience. The Balcony cabin features a queen bed, spacious wardrobe, a bathroom with shower or tub and a separate sitting area. The stateroom accommodates up to four guests with a fold out sofa. Queen bed can be converted to two singles. TV, minibar, telephone and safe included. Upgrade to Bella, Fantastica or Aurea Experience. Two-deck-high stateroom with open living/dining room on the main level with a sofa that converts to double bed. On the second level, master bedroom with queen bed. Two walk-in wardrobes, and two bathrooms (one with bathtub, one with shower). Includes interactive TV, mini-bar, 2 telephones and a safe. Available upgrade to Aurea Experience. The Yacht Club interior cabin offers a queen bed, spacious wardrobe, bath with shower and available Wi-Fi, for a fee. Perfect for a couple, this cabin has an interactive TV, mini-bar, telephone and safe. This stateroom features a queen-sized bed, spacious closet, bathroom with shower and a spacious balcony. Separate sitting area has a refrigerator, interactive TV, bar set-up, expresso machine and safe. This luxurious suite includes a queen bed, spacious wardrobe and bathroom with tub and shower along with a private balcony with hot tub. You'll have a separate living room with interactive TV, mini-bar, refrigerator, espresso machine and safe. Accommodates up to four guests. Entertainment on the Meraviglia combines the spectacular acrobatics of Cirque du Soleil with the incredible talent of an international music and dance troupe. You can enjoy world-class Broadway-style shows performed in the main theater or take part in a little performance of your own in the multi-purpose TV studio and karaoke bar. Later at night, you can laugh at the antics and jokes of renowned comedians. For the younger guests, there is a virtual games arcade and an exciting flight simulator along with the super-amusement park and sports centre where they can play sports during the day and party in the evening. Adventurous travelers will be attracted to the wild water slides in one of the most intricate and heart-stopping waterparks on the ocean, with three twisting slides and a "Himalayan Bridge." For a combination dinner and entertainment, guests on MSC Meraviglia have the unique opportunity to see two original shows by Cirque du Soleil, and take part in a special culinary experience in the same glamorous club, the Carousel Lounge. Enjoy culinary excellence in any of four main dining rooms on the Meraviglia, or any of the specialty dining venues onboard. With a flexible dining schedule and choice of dining styles, meals are as elegant or as casual as you wish. After dinner, head to the special chocolate shoppe for a decadent dessert, or sip a delicious liqueur in one of the many comfortable lounges. There are 20 bars and lounges around the ship, serving appetizers or snacks along with cocktails and music. As a special treat, book a table at the special Cirque du Soleil Dinner and a Show where you'll get a delicious dinner along with the world-famous acrobatic show. Here are the restaurants you'll find onboard the MSC Meraviglia. In the Panorama Restaurant, Waves Restaurant, L'Olivo D'oro or L'Olive Dorée, guests may dine at pre-determined seating times. These dining options are included in the fare and use a ship-wide menu that changes daily. Guests choose their preferred seating time prior to boarding. Fresh international dishes along with traditional family favorites served with a fresh market concept that is open 20 hours a day. With open-front kitchens, a fresh mozzarella production area and fruit and vegetable market, it is a food lover’s paradise. Special counters for children make it the perfect place for the family. Included in the fare. 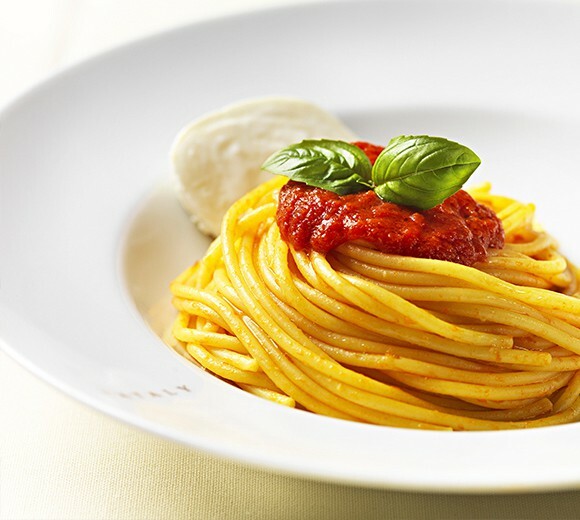 A taste of Italy and the Mediterranean delights guests at the Eataly Ristorante Italiano, with the finest Italian-inspired cuisine crafted by leading chefs. In addition to the elegant dining experience, guests can order Italian specialties to eat in their cabins or take out. Guests who select the exclusive Chef’s Table will take a "journey of discovery," learning about the ingredients and wine. A stylish steakhouse featuring select prime cuts of beef sourced globally. The menu features traditional American flare. The Butcher's Cut also offers a wide array of poultry and seafood dishes, including specialties such as the signature Meraviglia fish and seafood soup. Choose from an international range of wines, beers and cocktails. A dining experience where you can watch chefs prepare modern Japanese cuisine via four teppanyaki grills. Fresh, authentic Asian dishes with vegetables, fish, noodles and traditional fare that fuses east-west cuisines. The chefs present the dishes with a dramatic flare, right at the table. Voted the "Best Sushi at Sea" by the Berlitz Complete Guide to Cruising & Cruise Ships, the Kaito Sushi Bar on the Meraviglia serves fresh sushi, sashimi and tempura created by expert sushi chefs. The ultimate indulgence for those with a sweet tooth and a love of chocolate from world-famous pastry chef Jean-Philippe Maury. Located on the Promenade, this venue features an open-front chocolate atelier with crêpes and gelato. Aurea and Wellness Experience guests have the flexible option of My Choice Dining, with no reservation required. Yacht Club guests may dine at any time in the exclusive MSC Yacht Club Restaurant, located within the MSC Yacht Club area on deck 18, where chefs work with traditional ingredients to create innovative meals. A three-course meal of creative dishes served in the Carousel Lounge, followed by the amazing spectacle of Cirque du Soleil At Sea – one of two exclusive shows that have been created especially for MSC Cruises’ guests.